Have a sensational figure with this amazing shaper! 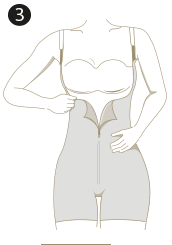 Bodysuit shaper ends at your knees. Designed to wear strapless - wear with your favorite bra. Comfortably controls your entire torso and thighs. 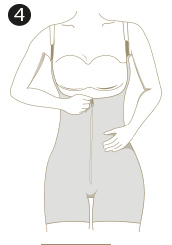 Different levels of compression in different areas of the body: stronger compression on outside of thighs and below rear, while there is no compression covering rear to avoid flattening. 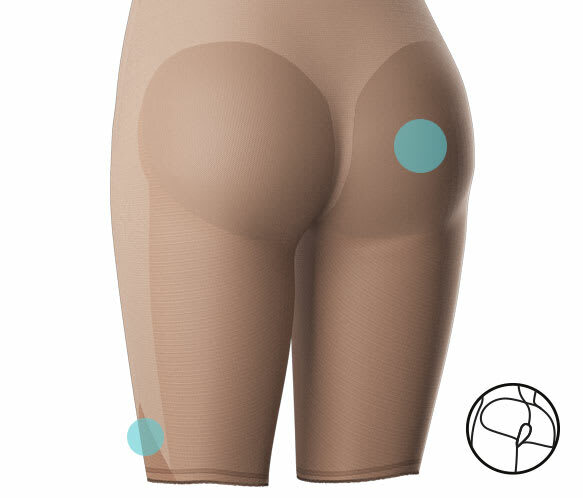 Made with SkinFuse®, a seamless technology: no seams and lighter material for an invisible effect under clothing. No one will know you have it on! Targeted super comfy compression smooths your waist, hips, and thighs. Our SkinFuse® technology is seamless, light, and invisible under clothes. It's perfect for all-day, every day wear. Designed without compression in the back, so as to not flatten your cheeks.